Four cheeses that have won recent awards at national and international Cheese Competitions. 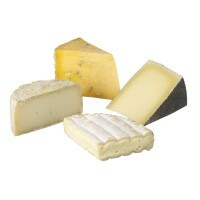 A selection of cheeses that have won various cheese awards around the world. The Worldwide Winners fits in a Small Gift Box to make a lovely gift of award winning cheese.